Deep Learning and Machine Learning courses are increasingly significant members of our family of digital technology certification trainings in Malaysia. Both ‘sibling’ subjects are part of the fastest growing fields in artificial intelligence (AI) and advanced computing. Training others (or even our ‘staff’ to begin with) to understand both topics however can be a challenge, especially when most of the current content on Deep Learning and Machine Learning available online are either too abstract or too simple for one’s own good! Both buzzwords invite attention, but unfortunately, not often—comprehension. Artificial Intelligence: Computer system(s) that mimics human intelligence. Machine Learning: Enables computers to learn on their own and self-improve. Deep Learning: Algorithms modeling deeper level abstractions in data to determine a high level meaning. When a machine learns from a bunch of Big Data (large, diverse, and fast changing information) it analyzes, or numbers it crunches from multiple sources, then makes a prediction based on a set of truths or logic—that’s machine learning in action. The machine is being trained, or really training itself to perform a certain task, and building its own logic and solutions. For instance, credit card fraud detection happens within a millisecond of swiping your credit card. How, wonder of wonders? ML predicts an unusual transaction based on information from multiple sources, associated with the ‘size’ and ‘location’ of transaction, and also by leveraging historical and social network data for accurate diagnosis of potential fraud, all in real-time. Machine learning can be performed using multiple algorithms beyond the example given above. For instance, Netflix suggesting movies based off of your star ratings (Random Forest & Decision Tree algorithm method), or even predicting happiness in photos of babies (Naive Bayes algorithm method). The list of algorithms goes on, and various combinations, solely or mixed, can be used to achieve ML. Best of all, ML eliminates the need for a programmer or analyst to continuously code or crunch data themselves to solve a puzzle or present a logic. Supervised learning: SL is driven by human intelligence. Someone needs to input the data and classify the solution, but lets the machine to interpret the relationship between the two. For instance, we tell the algorithm the difference between “happy” and “sad” emotions (classify the solution) and ask them to mimic the results when new information is fed to the algorithm (input the data). Built on a solid algorithm, the machine will be able to create a model to figure out patterns and improve its own efficiency, becoming more accurate over time. You’ll experience the benefits of supervised learning at sites like Netflix, Amazon, Google, Spotify, and loads of new web apps! Unsupervised learning: There is no human instructing the machine or interpreting any data it is handed. With UL, one simply inputs data/numbers for a certain situation and asks the machine to find a pattern and a solution. Algorithms of this nature must rely on clustering data and modifying themselves to create new data structures; by learning and finding undiscovered patterns from seemingly random data. Here’s another visual example: picture a child, whose first meeting with a four legged animal was associated with hearing someone call out: “dog!” Now he comes across a cat, and a goat, and thinks: “dog.” His brain has naturally classified four legged animals as “dog.” However as the child grows and comes across a wider variety of new animals, he’s able to detect a pattern out of increasingly detailed classifications. Cows, dogs, cats, and goats are now distinguishable, each for their unique traits, and become subsets of four legged animals. The child’s mind has come to a conclusion based on his own observations and self-learning, just like how UL takes place, without need for direct and continuous facilitation. To learn more about the practical applications of machine learning, register for our HRDF SBL-Khas claimable course: Machine Learning for Business Intelligence. What’s the biggest difference between deep learning and machine learning? Deep learning crunches way more data, at exponentially greater speed, accuracy and scale. It’s basically machine learning on steroids! Because deep learning algorithms are so powerful, and can do complicated things (like matrix multiplications) they also need far more beastly high end machines, known as graphic processing units (GPUs). Deep learning renders more accurate outcomes, powered by GPUs. For instance, DL algorithms can accurately detect a terrorist’s face via facial recognition technology as the image would be very close to the RAW version in replication, whereas ML images would be blurry. Deep learning was originally inspired by the function of the brain, which means the interconnecting of many neurons. Neural Networks are algorithms that mimic the biological structure of the brain. Like the brain that learns how to play the piano and make beautiful melody out of dissonant notes (or random data), DL also takes time to process data and compose solutions, sometimes even years. So, let’s sum it up: Deep learning is composed of machine learning algorithms, neural networks, and AI which connects all three. It is the third-level tier of AI and ML, incorporating multi-level techniques and methodologies to build different solutions. Refer to the diagram below for an easy understanding of its evolution and place in our society. We’re only scratching the surface on the potential of deep learning for easing life, business transactions, manual operations, and more intuitive human interactions. 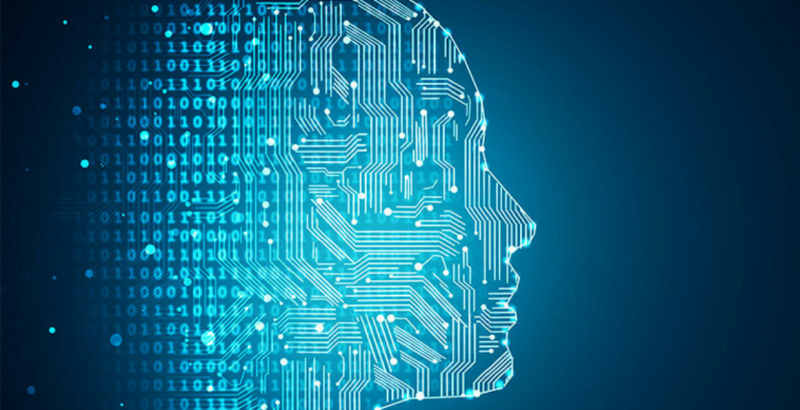 If you would like to get a deeper introduction to the topic, register for our HRDF SBL-Khas claimable course: Introduction to Deep Learning with NVIDIA GPUs. Contact our iTrain course consultants at +603-2733 0337 or email info@itrain.com.my to find out more about our training courses that will help your good self or organisation stay ahead of the curve.